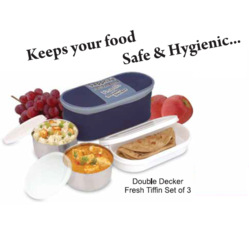 Offering you a complete choice of products which include Double Decker Fresh Tiffin. We are engaged in offering best and most perfect quality assortments of Insulated Lunch Box.Available in various shapes, sizes and colours. 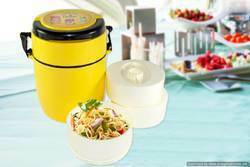 Features & Benefits Liquid-tight Seal prevents spillage of curries.